Content is supplied by the organisations themselves. Professional in Payroll, Pensions and Reward cannot accept responsibility for the accuracy of the information that is supplied or the views contained therein. If in doubt, please contact the organisation directly. To book one or more entries in the Professional in Payroll, Pensions and Reward useful contacts directory, contact Jill Bonehill or Jack Grinnell on 0121 712 1033 or email advertising@cipp.org.uk. 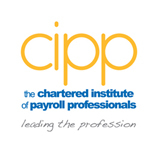 CIPP Consult is a division of the Chartered Institute of Payroll Professionals. 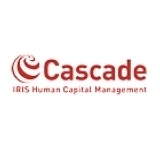 The services offered include benchmarking, workflow, assistance with implementing payroll and HR systems, project management, assistance with outsourcing, electronic payroll procedures manuals, payroll and pensions audits, payroll health checks, interim management, statutory support and best practice advice. Clover House, John Wilson Business Park, Whitstable, Kent, CT5 3QZ. 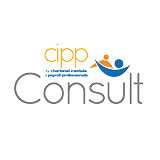 The CIPP Payroll Assurance Scheme is a payroll quality and compliance service aimed at accrediting organisations who display best practice in payroll processes and people. Consisting of two modules; the process module and the people module; the scheme assesses payroll and associated processes to ensure compliance, reduce errors and highlights areas for improvement; as well as diagnosing staff skill levels and learning and development needs. As the leading provider of cloud-based HR and financial solutions, we enhance work and life through service, technology and data. Our 22,000 colleagues across 14 global delivery centres deliver an unrivalled consumer experience for our clients and their people. 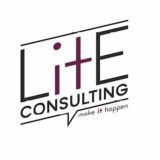 We help clients navigate the complexities of payroll administration, providing support from process and technology deployment, end user and ongoing technology support.We are Alight. Reimagining how people and organisations thrive. Frontier Software’s payroll service is tailored to each organisation as we understand that each has its own requirements. From bureau to fully managed, we offer security and backup to ensure a smooth and confident payroll operation. We are auto-enrolment and Real Time Information ready. 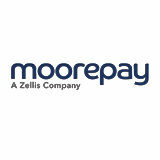 At Moorepay, we have been supporting businesses with their people processes since 1966. Offering services, software, consultancy and training across various payroll and HR solutions, we will help you manage your people and their needs. Designed for businesses large and small, our managed payroll solution takes care of the whole payroll operation, including data capture, processing, printing, distribution and reporting. We manage it all for you, removing the entire payroll burden. 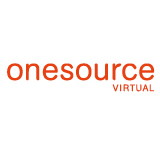 OneSource Virtual offers Managed UK Payroll Services that reduce administrative burdens and allow you to reclaim internal resources for more strategic projects. As a Workday Service Partner, our multinational payroll services are exclusive to Workday customers. By operating within your Workday application we become an extension of your organisation, lowering risk and reducing failure points. Delivered by experienced UK payroll professionals who are also Workday Experts, our service levels are designed for flexibility and control. Since 1976 SCC PyramidHR, part of Europe’s largest independent IT business, has been providing Payroll & HR Services. 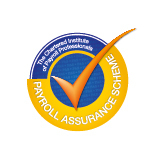 Based upon our PyramidHR integrated Payroll & HR system, SCC is almost unique amongst payroll service providers to own and manage all aspects of the delivery of our Payroll & HR solutions; from our UK secure data centres, through our printing and software support, to our UK based managed payroll teams. Our tailored solutions provide flexible online and on-device access including employee and manager self service. We believe the employee experience has two sides: the fundamentals and the stand out moments that employees really care about. We're here to help you master both. 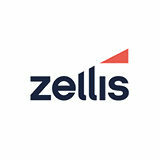 Zellis is a market leading provider of Payroll and HR services. With over 50 years' experience, we have a strategy shaped around your people and a proven track record of ensuring that employees across the UK and Ireland are paid on time. Through our powerful tools and services, we help you simplify processes, understand employees and unleash productivity. We supply our own integrated HR and Payroll solutions that use the very latest Microsoft technologies such as .NET. Our solutions stand out because they are process driven, business effective, proactive and adaptable. We have recognised that HR and Payroll departments needed systems that deliver features rich with opportunity rather than just a database with reports. We call it a ‘doing’ system. This means that rather than just a database Cascade is an extra member of your team. Cintra offers a uniquely customer focused approach combined with a robust, flexible and evolving mix of software and services tailored to meet your organisational requirements. 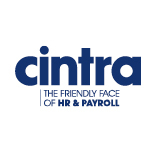 With its broad customer portfolio covering both public and private sectors along with highly trained, experienced and motivated staff, Cintra offers the natural choice for Payroll and HR solutions in the UK. If you are looking for a long term partnership where solutions, in-sourced or out-sourced, are tailored to your individual needs with no hidden costs why not give Cintra a call, the friendly face of Payroll and HR. 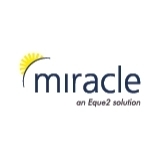 Miracle from Eque2 is the leading Payroll and HR solution for Microsoft Dynamics NAV. Our HMRC recognised solutions can address the most complex HRM information management requirements with our sophisticated functionality. Today our solutions are run by 1,000 companies worldwide from below 50 to over 40,000 employees, in a diverse range of sectors including construction, leisure, retail, recruitment, umbrella, IT, manufacturing and many more. ichris is a date based system that streamlines the payroll process through the use of powerful, flexible and easy to use features. User defined payroll parameters ensure the system can be customised to meet your business rules, for example, pay rates, absence and leave. 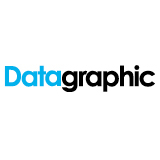 Maintained in line with statutory legislation and recognised by the HMRC PAYE Recognition Scheme, the software is available for delivery on-premise, in the cloud or as a payroll processing service. 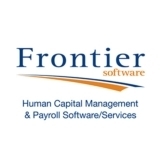 Frontier Software is an ISO 9001 and ISO 27001 accredited company, offering a range of fully integrated HR modules that include Self Service for on-line payslips, Time & Attendance and Expenses Management. 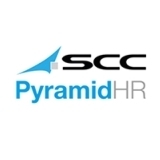 Since 1976 SCC PyramidHR, part of Europe’s largest independent IT business, has been providing Payroll & HR Services. Our PyramidHR application is a fully integrated, real time, single database, modular system which fellow HR and Payroll professionals will instantly recognise as a practical and functionally-rich HR & Payroll solution which addresses all aspects of employee management. An intuitive interface and ease of use, ensures that clients are quickly ‘up to speed’, whilst the depth & breadth of functionality delivers an effective and powerful solution. Frontier Software Payroll Outsourcing Services offer traditional ‘process and deliver’ bureau arrangements through to fully managed service contracts. Your business will enjoy all the accessibility, flexibility and control of processing payroll in-house – without having to allocate staff, equipment, time and resources to manage it. And, when it comes to accuracy, efficiency and flexibility, we can be relied upon to ensure the timely payment of your staff. Payroll data can be provided manually or through access to ichris, our Payroll/HR software suite that enables data to be securely entered from any location using a range of devices. Our outsourced service portfolio offers fully managed or bureau services as well as hosted payroll software with Bacs approved payment service. Our clients benefit from dedicated, individual payroll administrators who are all professionally qualified and experienced. Online payslips and P60s are delivered via 3rd party HR self-service or our own secure portal. We work with all types of organisations, automating and streamlining payroll processes with support for HR, pension and accounting systems interfaces, pension processing administration, payroll costing, client-specific calculations, standard and custom reports, and year-end services. PBS is an ISO 9001 & 27001 certified, GDPR compliant company. ichris payroll software is tested and recognised by HMRC’s PAYE Recognition Scheme and is supplied with all the core functionality you would expect from an established provider; including statutory tables and reports that are maintained through upgrades. The software is compliant with legislative requirements in each country of operation and can be used to create both standard reports and statutory output. Payslips can be paper or delivered directly to the individual via email or self service, to meet employee expectations in the digital age. Payroll can be provided with fully integrated HR, Expenses, Vehicle Management and P11D if required. 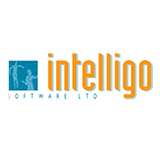 Intelligo is a leading provider of corporate Human Resource and Payroll Software and Services in the UK and Ireland with clients ranging in size from 300 to 20,000+ employees. Intelligo’s flagship payroll product, Megapay is the Number 1 payroll system for corporate organisations and public sector. Megapay is used throughout all major industry from Manufacturing, Top 5 Accounting Firms, Government Departments, etc. As a Certified Workday Global Cloud Partner, the system fully integrates with Workday. In addition, Megapay also interfaces with leading T&A and Financial applications. Megapay is available to purchase as either an On Premises installed solution or on a Hosted basis. Accord Payroll is a comprehensive, scalable and configurable system with advanced features that include pension processing and auto-enrolment, holiday pay uplift, salary sacrifice, client-specific calculations, and user reporting tools. We offer both hosted (SaaS) and on-premise solutions which can interface with 3rd party HR, T&A, pension and accounting systems. Specialised functionality includes support for pension payrolls and schools and colleges (TPS, LGPS). Online payslips, P60s and other documents can be delivered by 3rd party HR systems or our own MyPay portal. Our software is HMRC-recognised & Microsoft tested. PBS is an ISO 9001 & 27001 certified, GDPR compliant company. Formerly the UK and Ireland division of NGA Human Resources, Zellis is now a standalone business providing Payroll, HR and Managed Services to UK and Ireland based companies with over 500 employees. With over 50 years’ experience and 2000 employees Zellis is the largest business of its nature in the UK. We count over a third of the FTSE 100 as customers, serve 5million customer employees and processes in excess of 60 million payslips a year. We are also the people behind ResourceLink, the award-winning Payroll and HR software. 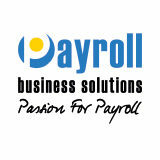 So, if you're looking for market leading payroll and HR services we’d love to have a conversation. CIPP is the leading provider of education in the payroll, pensions and reward industries, delivering qualifications from apprenticeship level through to MSc. A variety of excellent payroll, pensions and reward training courses are also held nationwide throughout the year. Join over 800 UK organisations who trust our Epay application to connect their workforce to vital payslips, P60s, P45s, reward statements and more. Epay integrates with existing payroll software, enabling you to distribute time-critical employee documents in 2% of the time and achieve a return-on-investment in as little as three months. Connect employees securely to their data around the clock from any internet enabled device with a GDPR compliant application. PayDashboard integrates with ​your ​existing payroll software to provide employees with digital payslips ​and documents ​via a secure online portal. 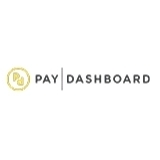 By providing pay data in a digital format, ​PayDashboard unlocks​ a wealth of innovation,​ such as providing your employee payslips in any language, complete mobile optimisation, employee financial education, benefits and discounts. For payroll bureaux we also offer a secure document portal for you to exchange documents and reports securely with your clients. PayDashboard’s award winning portal is perfect for both companies running an outsourced bureau service and those managing their internal payroll in-house. CIPP’s purpose is to elevate the standing of the payroll, pensions and reward professions. The Institute has education and business services subsidiaries offering end-to-end resources including the recruitment of quality personnel, benchmark qualifications and training courses. The Institute works closely with government to ensure the practical implementation of relevant legislation. 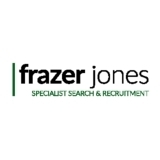 As a result of the growth & development in payroll & payroll complexity we have developed a payroll specialist practice here at Frazer Jones to support our client’s recruitment needs.Frazer Jones is a leading global specialist within search and recruitment, where we are firmly established as a market leader. knowledge of how the busy payroll environment works, our consultants match the skills and experience of individuals with the most suitable payroll jobs and employers. 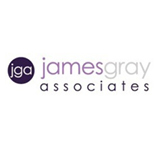 James Gray Associates specialise in Payroll, HR and Reward recruitment, supplying permanent, contract and interim professionals for vacancies across the UK, Europe and Asia. JGA offer a professional, bespoke and responsive recruitment service and are delighted to offer CIPP members 20% discount off standard terms. With 12 years average payroll recruitment experience per consultant and industry leading client servicing and candidate sourcing techniques including social media - JGA recruit better talent faster. 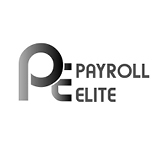 Payroll Elite have been specialising in providing payroll personnel for the past 20 years within the private and public sectors. As a highly reputable consultancy and major contributor in the world of payroll recruitment, we offer comprehensive contract and permanent recruitment services by pre-selecting candidates that match the clients’ needs and requirements. 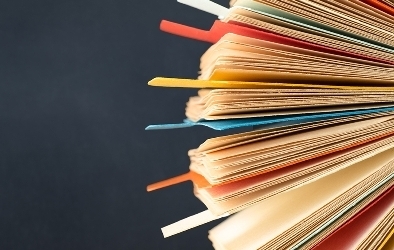 All candidates are referenced and interviewed prior submission to client. 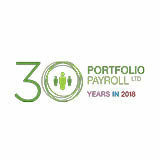 Portfolio Payroll is a market leader and the longest established payroll recruitment consultancy in the UK. Listed in the Sunday Times Fast Track 100 twice in the past three years we are the CIPP’s sole preferred supplier, recruiting payroll professionals for thousands of companies, across all industry sectors throughout the UK. Our specialist consultants provide tailored permanent, temporary and contract recruitment ­solutions at all levels of the market, with further divisions providing executive and public sector recruitment. 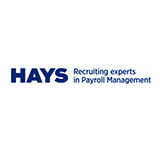 For all your payroll recruitment needs call the UK’s payroll recruitment specialists. With TA21 Time & Attendance software users benefit from access to working hours for all employees regardless of individual work patterns and can quickly identify issues in particular areas. TA21 provides all the control and information needed to effectively manage employee attendance – with the minimum of administrative overhead. Offering flexibility for data capture through a variety of input readers, e.g. Magnetic Stripe, Barcode, Proximity Card and seamless integration with our payroll software to avoid mistakes from manual time keeping methods.